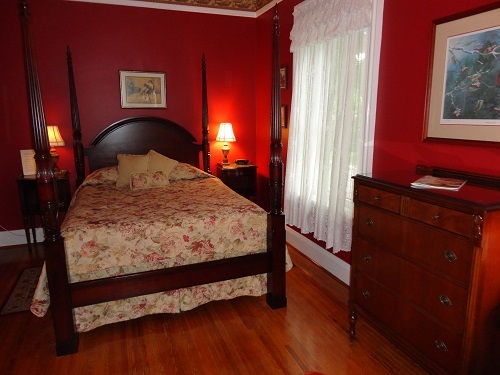 Large, bright and comfortable room with walk-in shower ensuite. 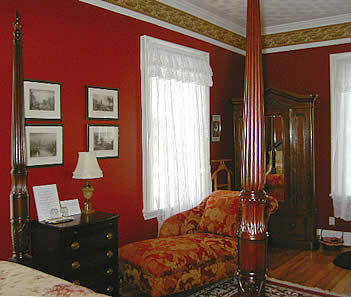 Queen size mahogany four poster bed. Victorian Eastlake style wardrobe. Ensuite washroom, renovated in 2016, features shower and stylish pedestal sink. Oak floors add a touch of warmth to the room.